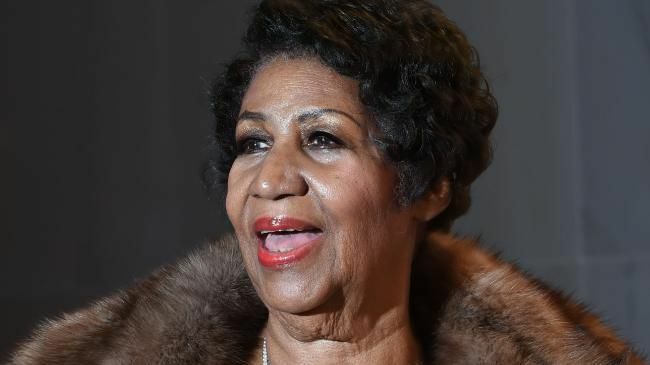 A BLISTERING note Aretha Franklin once penned to a body-shaming gossip columnist has resurfaced in the wake of the Queen of Soul's death yesterday. Shared by popular Twitter account Letters of Note after news broke that Franklin had died of pancreatic cancer at age 76, the letter was sent by the singer in response to a 1993 missive by New York Post columnist Liz Smith. The legendary gossip columnist, known as the "Grand Dame of Dish", had delivered quite the backhanded compliment to Franklin about a Bill Blass gown she wore in a Fox TV special, saying she "must know she's too bosomy to wear such clothing, but she just doesn't care what we think, and that attitude is what separates mere stars from true divas." "How dare you be so presumptuous as to presume you know my attitudes with respect to anything other than music. Obviously I have enough of what it takes to wear a bustier and I haven't had any complaints, I'm sure if you could you would. When you get to be a noted and respected fashion editor please let us all know. P.S. You are hardly in any position to determine what separates stars from divas since you are neither one nor an authority on either." It's yet another example proving that the late, great Queen of Soul was also the Queen of Shade.